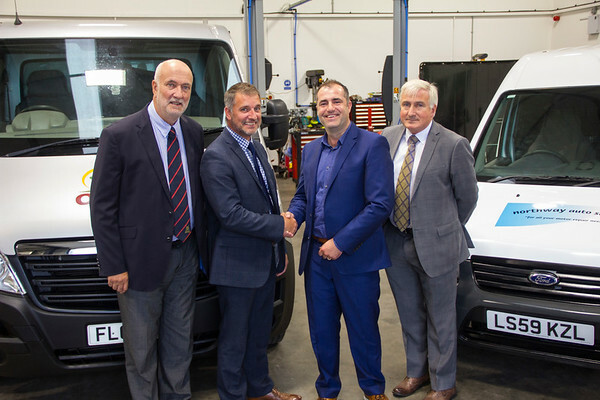 The agreement includes the servicing, repair, maintenance and the MOT Testing of Oakleaf’s fleet of over 100 vehicles. Northway will also maintain the plant and equipment used by Oakleaf to support its building maintenance operations including grounds maintenance services. The agreement is for ten years and includes challenging key performance indicators to ensure best value for money is delivered. Northway Auto Services was selected following a demanding procurement process which cements their relationship, which has been running since 2009 under a separate agreement. The services provided by Northway include generating income and turnover from third party work, including the repair and servicing of vehicles owned by other fleet operators and the general public. This is very much a real partnership between to two organisations with Northway providing the expertise, management and skilled mechanics and Oakleaf providing the facility, plant and equipment.